Lynne Steel, department supervisor in personal injury at Thorntons, rallied her fellow colleagues to take part in the challenge on Friday 4 August 2017 in aid of Cancer Research. The firm also held a bake off and dress down day over the weekend to raise additional funds for Cancer Research. The nine co-workers, based in Dundee, who joined Lynne were John O’Neill, Stephen Brand, Vincent Chung, Stephen O’Hare, Colin Whyte, Ewan Ramsay, Heather McKenzie, Lee Corr and joint managing partner Craig Nicol. Thorntons partner Stephen Brand not only volunteered to have his head shaved also took the razor to his beard – for the first time in 45 years. “We chose a bold fundraising attempt for those who have lost their lives and those who have survived cancer within in the firm, and I’m delighted with all the support we’ve received. 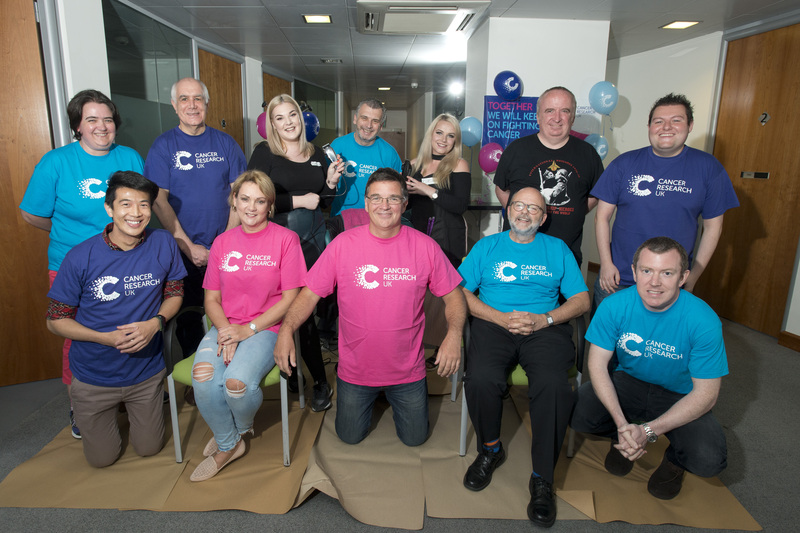 Sarah Johnston, Local Fundraising Manager at Cancer Research UK, said: “Cancer Research UK has made enormous progress in the fight against cancer and has set ambitious plans and aspirations for the future. Sponsorship pledges can still be made to Thorntons Cancer Research fundraising here https://www.justgiving.com/fundraising/thorntons-law-charity-head-shave. Before photo: (Back L-R) Heather McKenzie, Ewan Ramsay, Leah Steel, Colin Whyte, Cara MacGregor, John O’Neill, Lee Corr, (Front L-R) Vincent Chung, Lynne Steel, Craig Nicol, Stephen Brand and Stephen O’Hare. 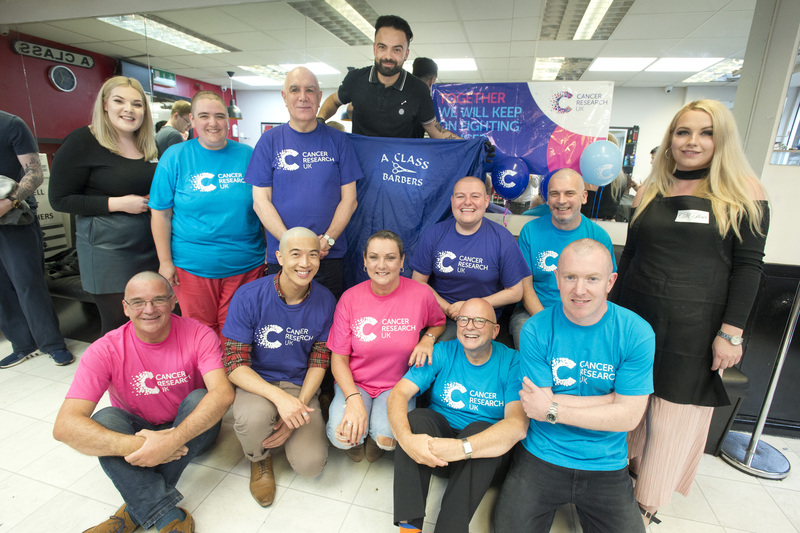 After photo: (Back L-R) Leah Steel from CM Hair, Heather McKenzie, Ewan Ramsay, Emre Sezen from A Class Barbers, Lee Corr, Colin Whyte and Cara MacGregor from CM Hair, (Front L-R) Craig Nicol, Vincent Chung, Lynne Steel, Stephen Brand, Stephen O’Hare.